Functional fitness means combining strength and endurance to move your body as effectively as possible. A proper warm-up is a vital part of any workout because strength means nothing if your body isn’t in the correct position to maximise its energy output, while efficient movements ensure good endurance by limiting the effect they have on your cardiovascular system. Sure, the more you do a move the better you’ll get at it, but you can save yourself a lot of time and energy by working on your body’s mobility and flexibility to increase your overall range of motion. Most jobs involve sitting down for the majority of the day. This means at the start of a workout everything - especially your hips, core and legs - is tight, which limits your mobility. Tight hip flexors, for example, make deep squats tough, while tense shoulders make it difficult to do any overhead lifts without over-arching your back. Ensure your body is fully prepared for the rigours of functional fitness training by following the two routines. For best effect, do them after a gentle five-minute session on a rower, stationary bike or treadmill to get your heart pumping and more blood flowing through your muscles. Use a foam roller to give yourself a sports massage and encourage myofascial release to relax contracted muscles and improve circulation. 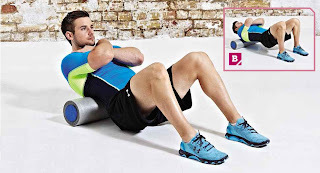 Do five to ten rolls for each body part. O Cross one leg over the other while sitting on top of the foam roller. Lean slightly towards the leg you’re working. O Roll down yourglutes. The entire movement is no more than a few centimetres, so make the movement slow and deliberate. O Shiftyour weight tothe centre and then lean over to your other hip to hit different areas. 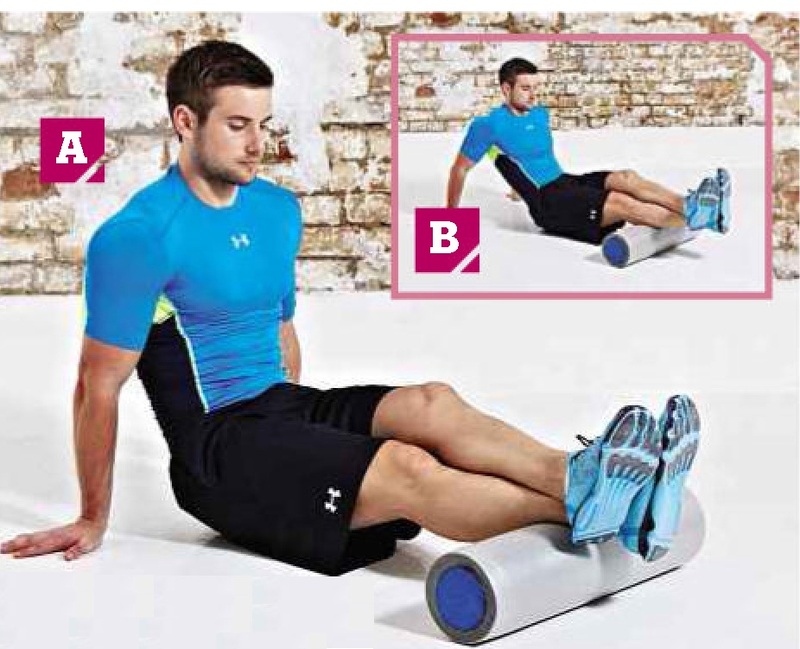 O Rest your lower leg on the foam roller, with your toes pointing upwards. If you need more pressure, cross your free leg over your rolling leg. O Liftyour hips off the ground and slowly roll the entire calf muscle from bottom to the top, endingjust belowyour knee. O Hit the inner and outer areas ofyour calves by turningyour leg to one side and then the other. 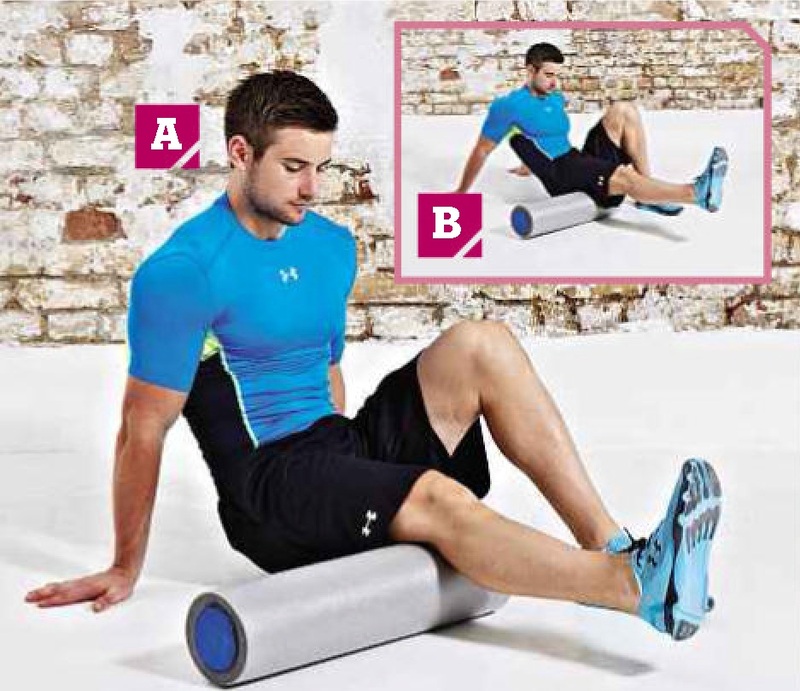 O Rest one leg on the foam roller just behind the knee with the other planted on the floor for support. O Lean back and push your leg forwards until the roller is at the start of your glutes. Hold and return to the start. 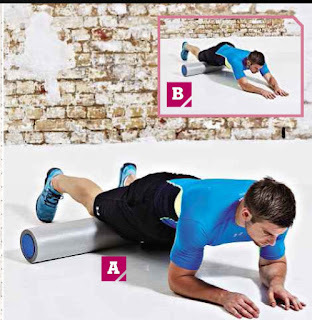 O Lie face down with one leg resting on the foam roller near your hips. O Slowly work the roller down tojustabove the knees, pause, and then roll back to the start. Hit differentangles by turning your feet in and then out at the bottom of each roll. O Lie on your side with the roller just belowyour hipbone. 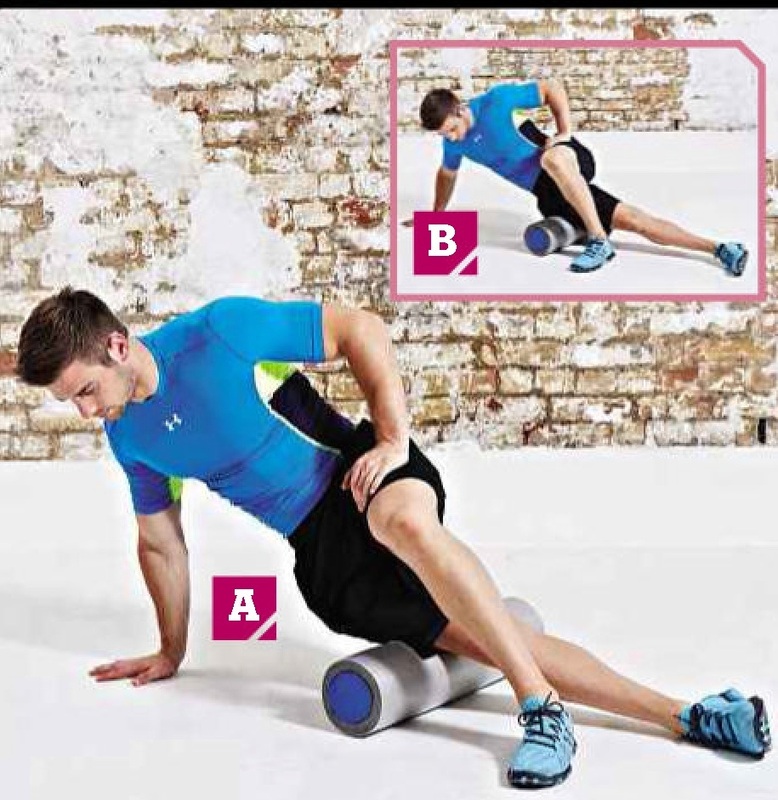 O Roll down tojust above your knee, keepingyour free foot flat on the ground to stabilise your body. O This one can be painful so only apply as much pressure as you can take. O Slowly roll up and down your back. green button , do not forget to subscribe .